With the start of a new year, everyone here at DroneBase is looking forward to continuing to build on our success from 2018 and further execute on building a great company. A great company… What exactly does that mean? As Founder and CEO, I think a lot about what makes a “great” company and our strategy on how to get there. I’ve spent countless hours with our Board and executives at the company to build a path forward where DroneBase can succeed. As we look forward to what’s to come in 2019, I’m excited to share with you DroneBase’s Mission and Vision, and what the future holds for us. When we started developing our mission statement, we had to take a step back and think about all that DroneBase has accomplished -- establishing the world’s largest Pilot Network, completing over 100,000 commercial Missions, and delivering aerial images and data in as little as 48 hours. Through our work across multiple industries, we found the problem partners needed solving was the logistics in drone operations. Drones provide important data that was previously either excessively expensive or inaccessible. DroneBase provides fast, affordable, and reliable data from the air so our customers can make better-informed, real-time decisions about their most critical assets. Speed, affordability, and reliability are three factors our partners need in order for a drone operations provider to make financial sense. We strive to meet those expectations each and every day. We believe that this data is so valuable to our clients, that they will be able to make better business decisions with it and continue to rely on drones for their company’s success. A company’s vision is where they’re going -- the answer to the elusive “where do you see yourself in five, ten, fifteen years” question. When we think about the future of DroneBase, we see the future in the one place that has yet to be utilized to its full potential: the sky. For so long, the sky was only accessible with airplanes and helicopters. Thanks to drones, we can see a bird’s eye view anytime and almost anywhere we want. The sky will become not just an important but an indispensable source of vital business data, and DroneBase will be the leading way companies acquire it. By providing universal access to the sky, DroneBase will advance human progress as dramatically above the horizon as below. As companies continue to utilize drones, there will be more and more advanced use cases and business needs. DroneBase will be leading the way to help its partners advance their businesses’ access to the sky, and in turn, continuing to provide drone pilots with a steady stream of work. With drone technology improving every month, we’re looking forward to working with our partners to find more use cases for drones and positively impact their bottom lines. This could be anything from advanced flights with thermal or LiDAR sensors to providing new aerial opportunities for various industries. It’s important for you - our pilots, partners, and friends - to know where we stand. We will be a category-defining drone company, and 2019 will be our biggest year yet. 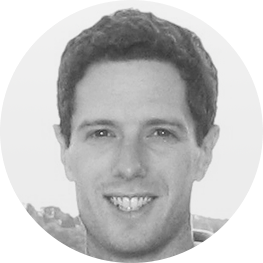 Dan Burton is the CEO and Founder of DroneBase. He initially became a drone enthusiast during his service as a Marine Infantry Officer in Iraq and Afghanistan from 2007 - 2011. While in the Marines, the drone industry was just getting started and he watched it grow from the likes of the first desktop computers to iPhones. Before founding DroneBase, Dan analyzed industries for global corporations on Goldman Sachs’ Technology, Media & Telecom Group. He started his career as a Special Projects Assistant in the U.S. Senate. Dan has an MBA from Harvard Business School and a Bachelor of Arts from New York University.